The Islands and the Whales (TIATW from now on) opens with a majestic, sweeping shot of the flank of a tall Faroese island. Grey skies loom above, and a choppy sea gnaws away at the rock, sparsely covered with grass. The music, whilst foreboding, conveys the spaciousness and quiet of this place and has a similarly majestic tone. Several shots follow each other, focussing more and more on the activity of humans as they run to the sea to meet the whales herded there by the boats, until the red tide caused by the slaughter cuts in, harshly reminding the audience of the violence demanded of the Faroese to survive. Elsewhere, men lower themselves down towering cliffs to catch seagulls and break their necks. Speakers in the film repeatedly say how nothing can grow on the islands, and that they have to rely on hunting their food as a result. As TIATW progresses, several different characters (a fisherman, seagull hunter, doctor and nurse are a few) provide the story, simply by having their lives filmed and by offering their thoughts. It soon transpires that rising mercury levels in the ocean are causing the Faroese to ingest it along with whale meat - the country’s staple food. When fossil fuels are burned, mercury is released into the sky and it either is dissolved in rain, combined with dust or it falls to the ground or into the sea (this is called air deposition). Mercury can also be released in the burning of waste materials in industrial processes such as cement, battery and steel making. Having been absorbed by the sea, it works its way up the food chain, starting right at the bottom, until it gets into the pilot whales (who eat squid, octopus, cuttlefish, herring and other small fish) that are then eaten by humans. What makes this process even worse is that the mercury accumulates and increases in proportion the further up the food chain you look. This is called biomagnification. In addition, fossil fuel use in 2017 broke the record, although this could have been a blip in a greater trend of declining use. Mercury is one of the top ten most toxic chemicals in the world. It has a negative effect on almost every aspect of the body. It damages the foetus in utero, limits the development of memory, language, motor skills, cognition and attention in children and causes muscle weakness, reduces coordination and damages peripheral vision, skin and the cardiovascular, immune system, nervous and digestive systems. Although it is not conclusive, there is also some evidence for mercury being carcinogenic. None of this is good, especially since Professor Pal Weihe (one of the main focal points in TIATW, the doctor) has found severely increased levels of mercury in child patients, thousands of whom he has tested in an approximately thirty-year study. What the film captures so skilfully is the conflict between this terrible state of affairs – for which the Faroese are not even really responsible for – and the other aspects of whaling. 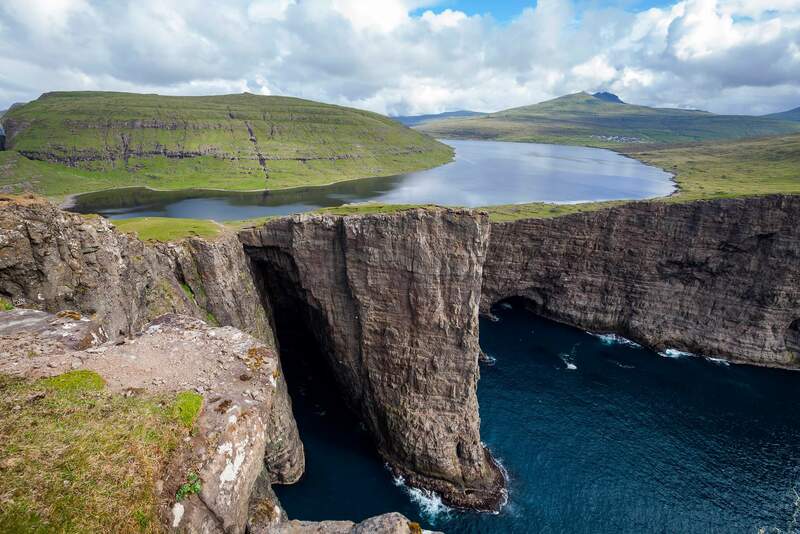 At least 1,000 years ago (circa 800 AD), Vikings settled the Faroe Islands and presumably have been hunting whales for just as long. The practice known as the grindadráp, or grind is, therefore, an ancient tradition, and those are not easily cast aside, even when health is at risk. TIATW teases out the differing perspectives of the Faroese, and it is hard not to see things from their point of view. The grind is part of their identity and constitutes a major building block for the Faroese sense of community. When the fishing boats are herding whales to the shore, they call all their friends, family and acquaintances to come and help them and everyone comes rushing from wherever they are to lend a hand. After the slaughter is over (and it is certainly brutal – there are several intensely graphic scenes in the film), the spoils are divided among the participants who take their prize home to their families. Having communicated this conflict, TIATW then incorporates a whole section where the global oceanic conservation organisation Sea Shepherds come to the Faroe Islands. Their goal is to prevent the hunting at all costs, including physically putting themselves between the hunters and the pilot whales. Again, TIATW cleverly remains neutral, but honestly conveys both sides of the argument in equal measure. The Sea Shepherds disregard the Faroese tradition and heritage, instructing them in a patronising way to go vegetarian and stop hunting in a press conference. They argue (correctly) that pilot whales have comparable intelligence and social structures to humans, including communication and that their numbers are dwindling. However, the Faroese hunters point out that nothing grows in their country, so going vegetarian would demand reliance on imported goods from the other side of the world - equally bad for the environment as hunting whales, just on a different way. The interfering attitude of Sea Shepherds unites the Faroese, and they see the organisation’s good-intentioned efforts as cultural imperialism. The scenes surrounding this issue are deeply troubling and very profound. They expose the complexity of the current environmental issues, as well as the attempts of organisations and narratives to simplify and polarise arguments. The honesty of TIATW does not stop here, it subtly works in the Faroese narrative that the problems they are having are all caused by the ‘outside world’. Whilst it is true that the majority of responsibility for plastic-filled bird stomachs and mercury consumption does not rest with the Faroese, the film does not idealise them, and quietly shows the things they themselves do to contribute to environmental deterioration. There are many scenes where cars are left running, cigarettes tossed into the sea and imported products purchased from supermarkets. Ultimately, The Islands and the Whales is nothing short of a masterpiece, and a keystone in raising awareness of environmental issues, as well as providing a nuanced and unbiased account of the overwhelming complexity of it all. It does all this whilst also conveying a sense of the natural beauty of the Faroe Islands, mainly through the fantastic cinematography, which throws most of the scenes into an artistic, almost designed light. The Islands and the Whales is released in cinemas nationwide on the 29th March. It is rated 12A.